We are a leading Exporter of wrist watch box and leather watch box from Mumbai, India. We are offering a wide range of Wrist Watch Box. Our all products are made from high quality of raw material and modern technology. 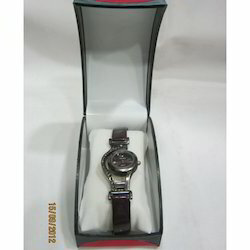 These watch cases are very attractive, stylish and ideal for packing different kind of watches. These watch cases provide excellent protection for the watches against dust and abrasions. Clients can avail from us our watch cases at market leading rates. 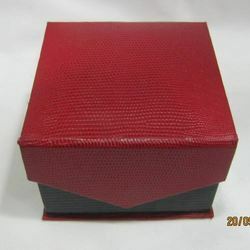 We are offering a wide range of Leather Watch Box. These leather watch boxes are highly reliable and are made from premium quality leather that is carefully crafted to achieve excellent design and durability. Our leather watches boxes have very smooth and durable structure ideal for keeping precious watches away from abrasions. Looking for Watch Boxes ?